January is always a difficult month when it comes to money. Not only is it the longest time that we have to wait to get paid, but December can always be quite expensive and it is sometimes easy to get a bit down about the lack of dosh in the bank. 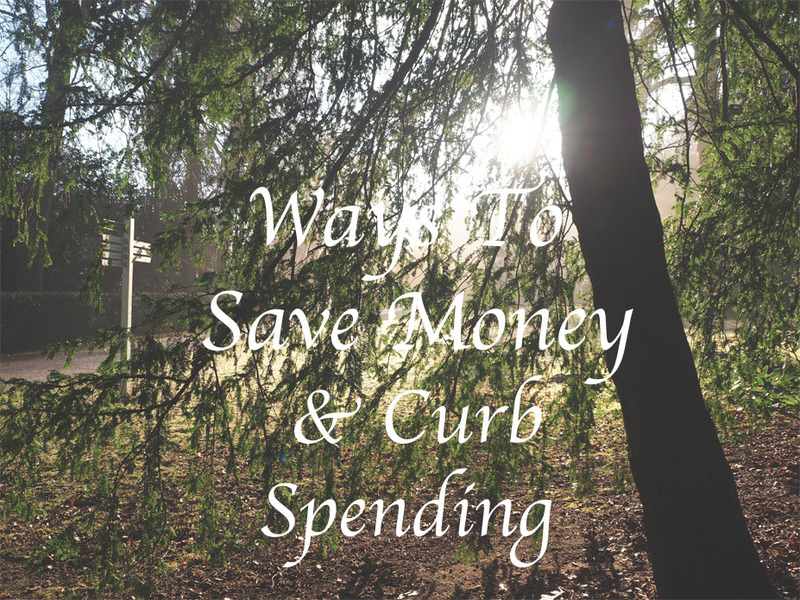 This post has a few tips and tricks that I have adopted myself recently in order to save some money and curb my spending habits. Do A Comparative Shop – I find that apart from bills, rent and our car, my biggest expense is on the food shop. We have been shopping at Aldi for just over a year now and I have saved a huge amount of money on our weekly shops. Aldi is a supermarket that works for us but it may be worth doing your food shop in a different supermarket to your regular one to see if you can save money too. Make a Fake-Away – James and I love a cosy night in with a good film and a takeaway. However this is not so good for our purse strings, not to mention our waistlines! We have started cooking a treat meal, so maybe spending a little more money on some nice ingredients, and cooking a really lovely meal that is still cheaper (and healthier) than a takeaway. Take lunch to work – Working in the city center I can easily spend up to £5 on lunches and coffee throughout just one day. One of the best ways I have found to save money is to make a flask of coffee at home and a DIY lunch. Go For walks – One of the best ways to get outside, get some fresh air and get some exercise is to go for a walk. It’s free, easy to do and can be as long or as short as you like. Unsubscribe to Emails – The draw of the New Year sales is so, so tempting and for that reason I went through my emails recently and unsubscribed to all of the fashion and beauty email updates that I receive in order to avoid temptation. Appreciate The Winter Evenings – I love to get cosy on an evening and curl up with a hot chocolate and a good book, have a pamper night with candles or crawl into bed early and watch a film under the duvet. This is a great way to look forward to some evening plans without having to spend money on meals or drinks out.